This must be Barley Brook? Crown Green Bowling Greens-still with us in 2014. Look how under-developed Mesnes Road is! Walkden Avenue, it hasn't reached Queensway yet. 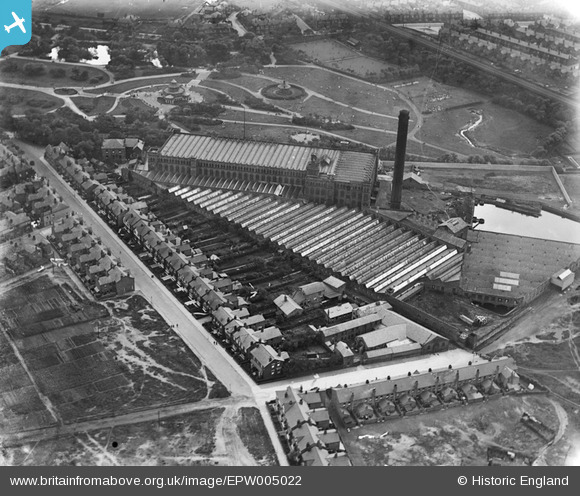 Although titled Gidlow Works the central complex is Rylands Mill with Mesnes Park clearly visible.